I got a fun request from Julie in the Athletics Department at University of San Francisco, Cole's alma matter and primary client for design and photography work. 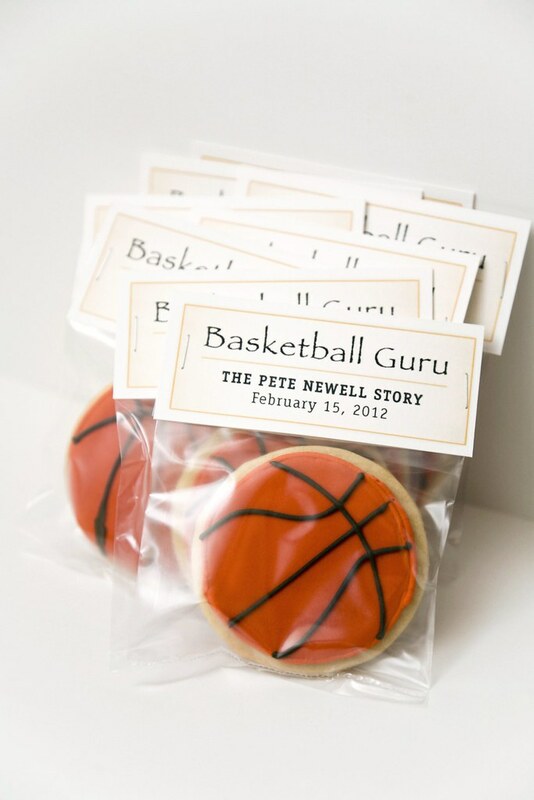 They wanted some basketball decorated sugar cookies to serve at the VIP alumni reception which would take place after a preview screening of "Basketball Guru: The Pete Newell Story" at USF. Cole designed the invitations for the event (see below). 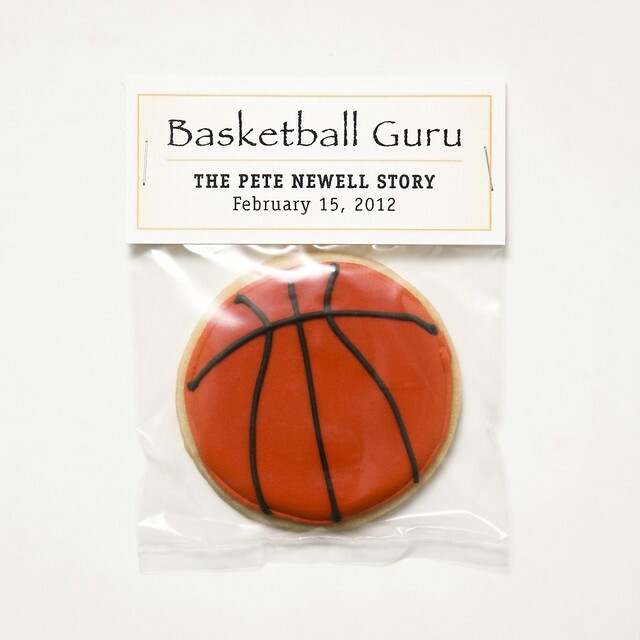 USF also did a nice YouTube video here that explains a little more about Pete Newell: Remembering Pete Newell. Cole also designed the image below from a real photo of Pete Newell, which USF & Dons Basketball used on posters for the event and "rally rags". Clearly, Cole was the man to help design the tags on these cookies! He's my cookie tag guru. Cole photographed the event and reception that night so I can even show a few pictures... I'm always curious what my cookies do when I send them off to go party. Thanks, Julie, for the order!